CNC Machined from AL7075/T6 the Super Type chainrings are ramped and pinned for perfect shifting. 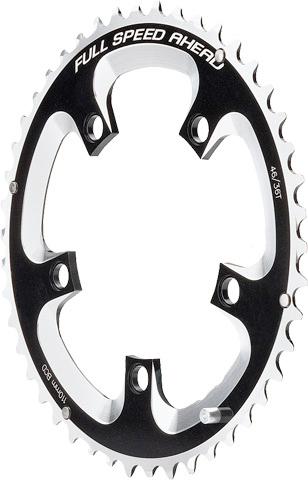 Super Type chainrings are available for 9 or 10-speed drivetrains. Precision CNC machined out of AL7075/T6 aluminum. Available in 46T 110mm BCD only.